Every family has a special quirk or tradition. The Adams family had their little snapping thing – my family has a tradition of noshing. Every afternoon, usually afterschool, we break out the juice and some light snackage. Maybe our little tradition was born out of hunger, or maybe it was born out of a desire to break bread somewhere between official meal times – either way, we’re very particular about what drinks we guzzle during our nosh-time. 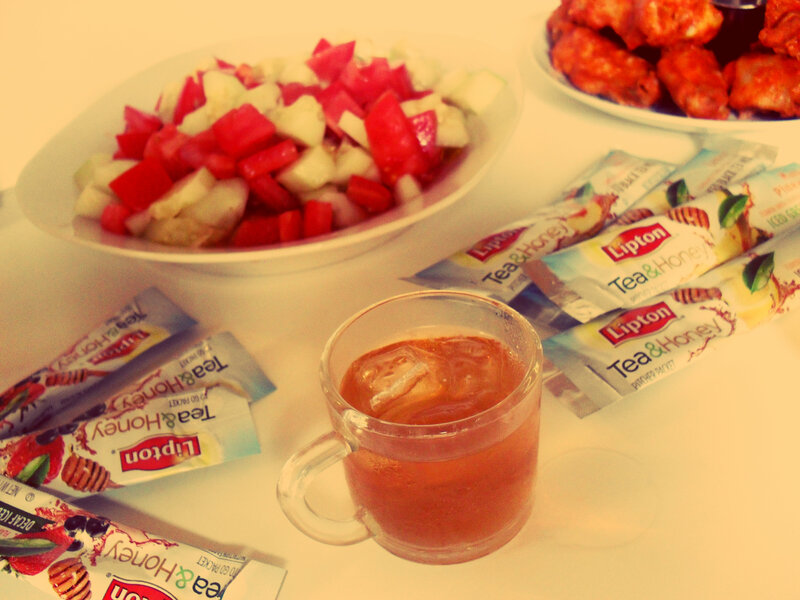 So I thought, in honor of our little tradition I’d share with you our favorite beverage – Lipton Tea & Honey! A delicious, low-calorie, ice tea mix made with real tea leaves, real fruit flavors, and sweetened with real honey – Lipton Tea & Honey comes in six amazing flavors: Mango Pineapple, Blackberry Pomegranate, Strawberry Acai, Peach Apricot, Black Currant Raspberry and Lemon. I’ve tried them all and they’re all insanely good! What I love about these teas is that they don’t have any musty after-taste that many powder mixes have. They’re just pure, refreshing, and delicious! They also come in large servings, and travel sizes – for sipping on the go! 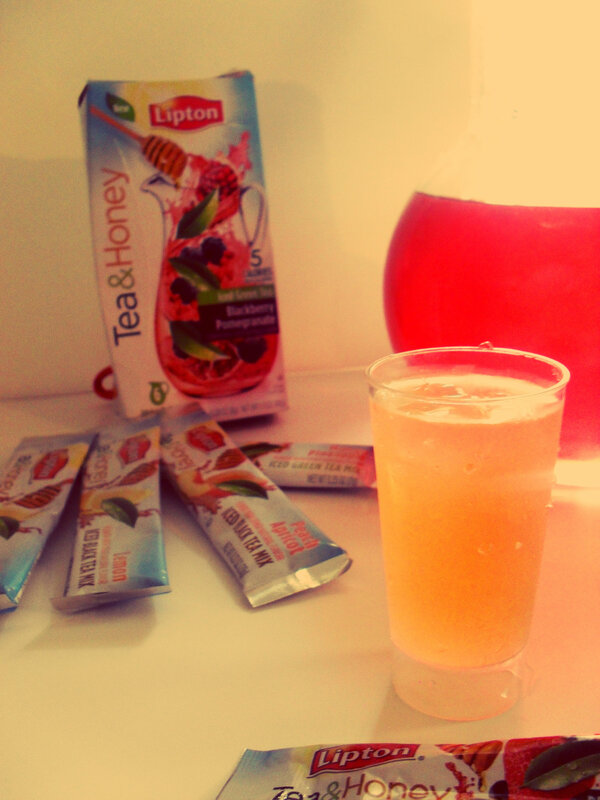 We love Lipton Tea & Honey so much that now we always have some flavor of the Tea and Honey juices cooling in the fridge. It really is so good, the kids love it, the adults love it – everybody is very enthusiastic about how amazing it is, and we love that it’s low-calorie! 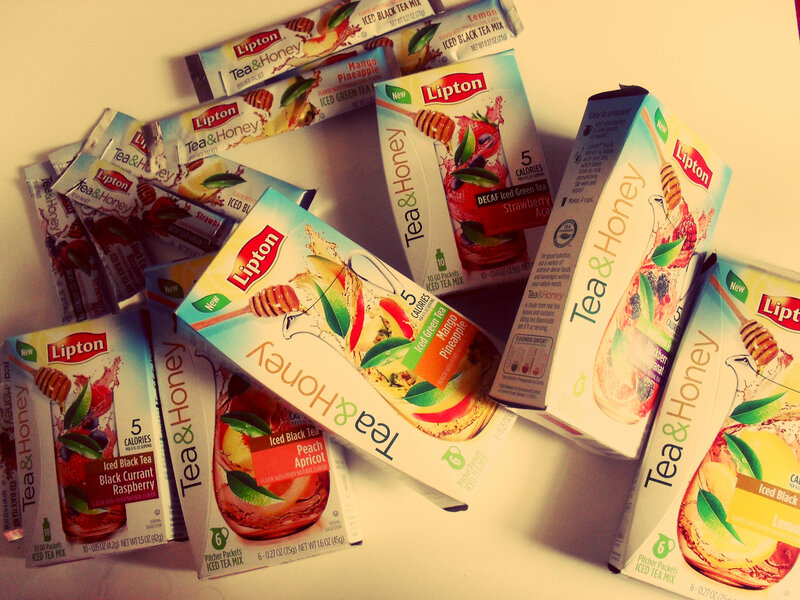 Now here’s where it gets even better- Lipton has generously offered to give FIVE (yup, you read correctly- I said FIVE) lucky NYC Talon readers 3 boxes of Lipton Tea & Honey to try for themselves! Woo hoo! Pretty cool, huh? All you have to do is click the image below where you’ll be taken to a rafflecopter form so you can enter quick and easy! The last Choose your own Task, says page not found, so I just posted the link to this contest on my facebook wall.